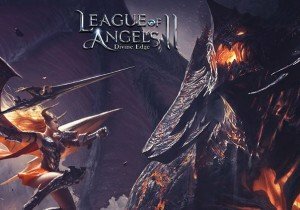 Sakura, the delicate and graceful fairy has left the Garden of the Gods to help players do battle in League of Angels II. She left to spread happiness and bring the fragrance of spring flowers, but also to help players on their quests. Though diminutive in size, she packs a power that is not to be underestimated. Blessed by Eostre, the goddess of spring, Sakura commands the power of revival. She supports the players and their heroes by protecting the whole squad using her healing and shielding powers and much more. There is also the Single Server Resource Tycoon Event coming, from April 26th-30th, so collect as many points as possible to acquire her. immunity and increases Crit DMG by 10% until the end of the turn.